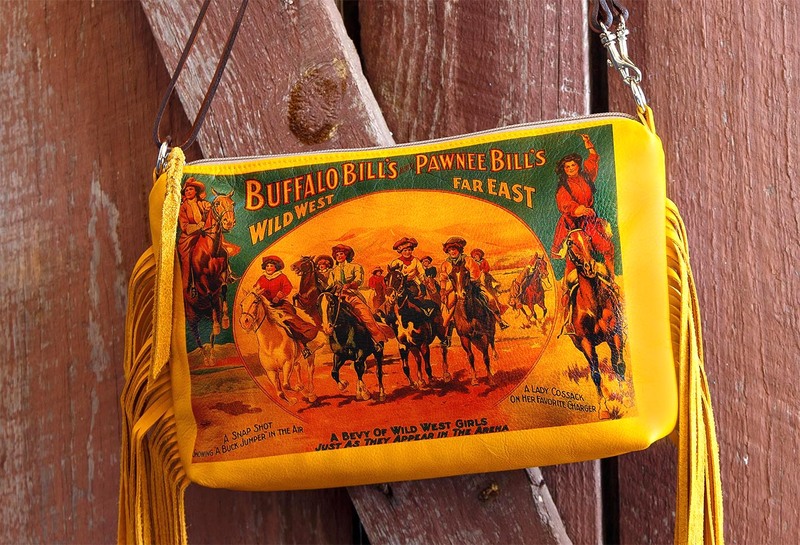 Great image of a Wild West Girls Poster from Buffalo Bill’s Wild West Show during the 1880’s, honoring the rugged contribution woman made to the settling of our historic frontier. 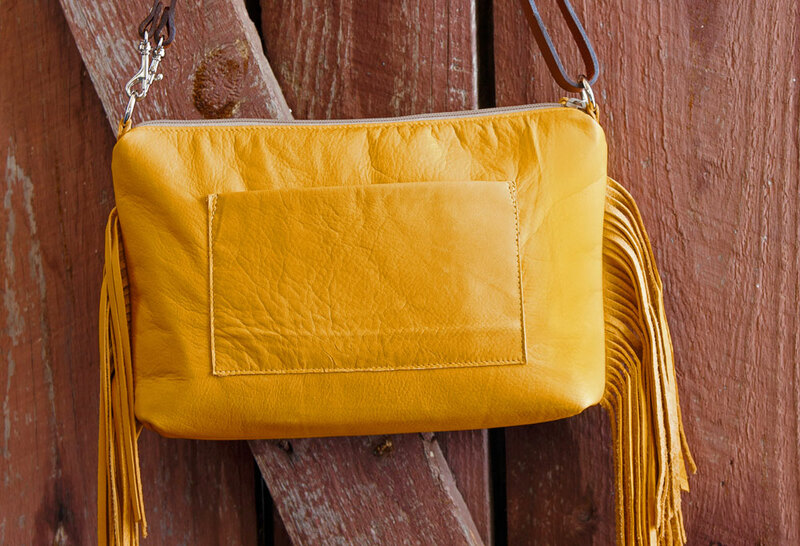 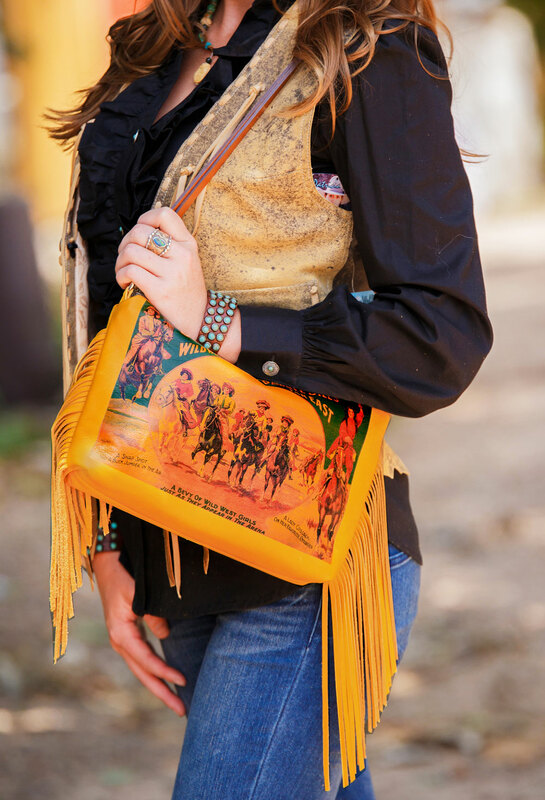 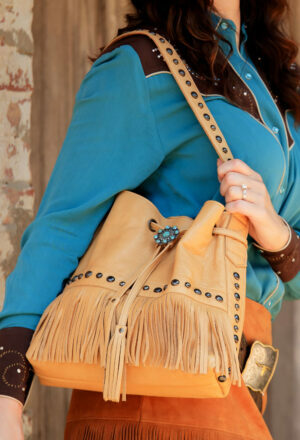 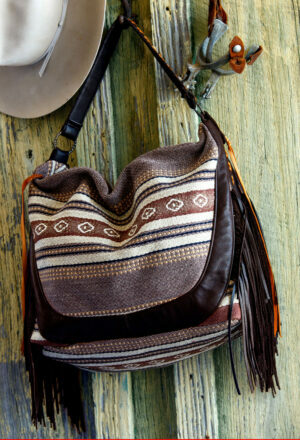 Soft gold deerskin with fringe and a cell phone pocket on the back. 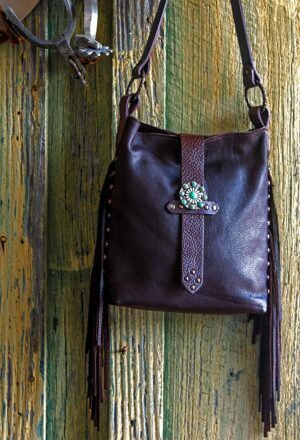 Swivel hooks on strap ends allow the strap to be detached and reconnected on the opposite side for 52 inch cross body length. 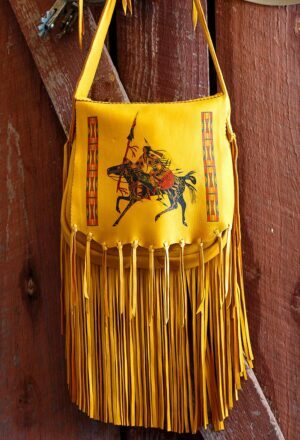 Measures 11″ W x 8″ H x 2″ bottom gusset.